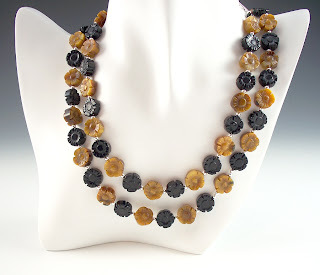 Welcome to Part 9 of our “Gemstones of the Zodiac” series. The ninth sign of the Zodiac is Sagittarius (November 22 - December 20). 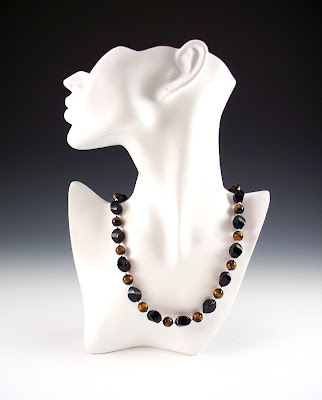 The Mystical Zodiac stone for Sagittarius is Onyx. Onyx is a Greek word that means the nail from a finger (or claw). According to legend, Cupid cut the fingernail of Venus while she was sleeping on the banks of the Indus River, and they fell into the water. Because no part of a God or Goddess can every really die, these fingernails settled on the bottom of the river, and were turned to stone, thus giving birth to onyx. Onyx is from the microcrystalline quartz family knows as chalcedony. Chalcedony gets its name from Calcedon, a port town on the Marmara Sea in Asia, where the stone was first discovered. These days, onyx is mined not only in India, but in Brazil, Uruguay and California. 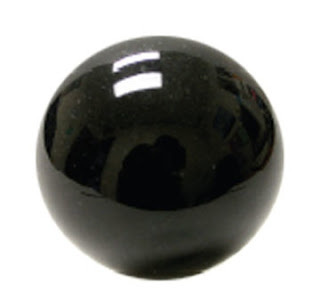 While most people associate onyx with being black, there are multiple colors of onyx, including white, red and green. 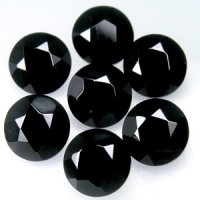 Black onyx, due to its ability to absorb light, is looked at as one of the more powerful protection stones. 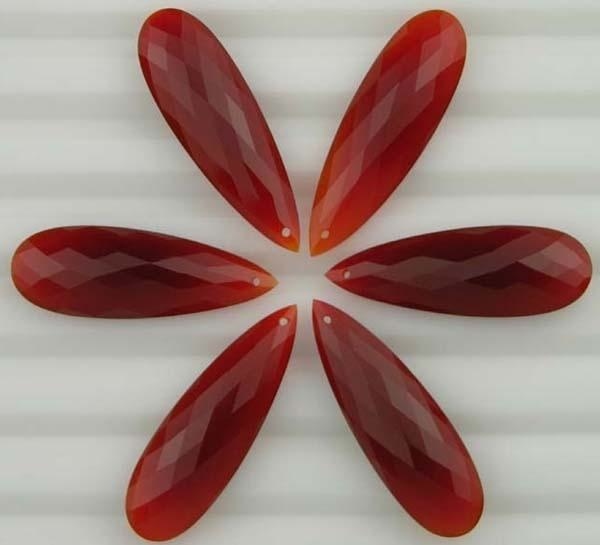 It is a root chakra stone, which helps keep you grounded and focused. 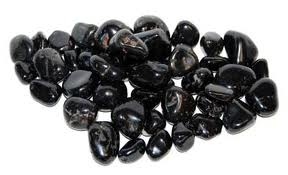 Onyx has a strong association with Saturn, so those with Saturn in your birth charts (Capricorns especially, but not solely) might want to look to onyx for protection. Based on the myth of Cupid and Venus, onyx is believed to add to the belief of the life cycle, in that death is not looked at as final, but merely party of a cycle of continuing life. This is why mediums look to black onyx to help connect to the spiritual realm. 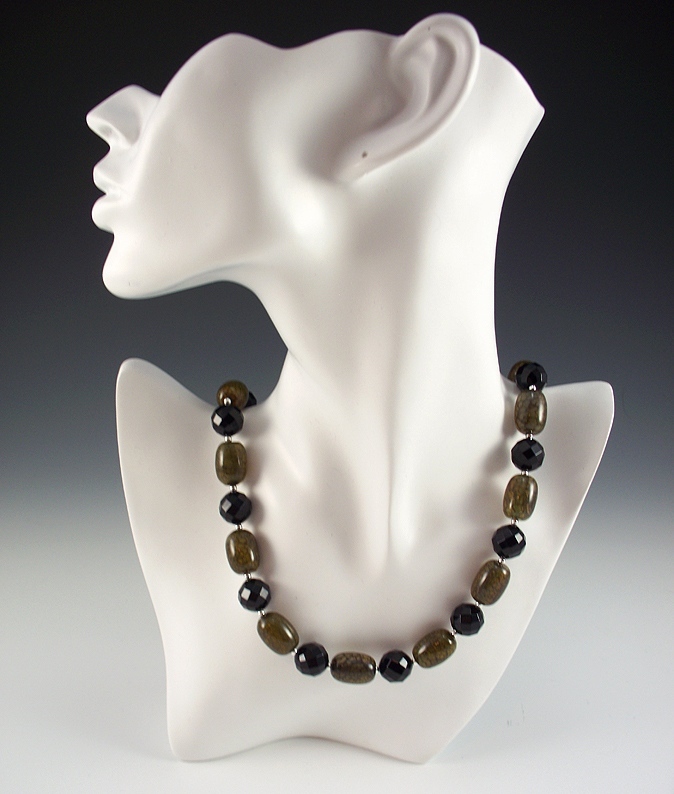 On the more physical plane, black onyx is looked at to help increase strength, stamina, energy and self control. 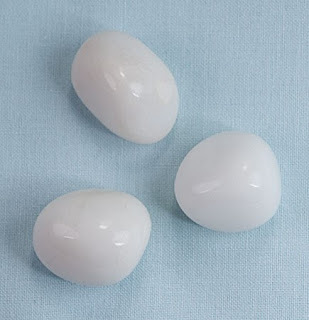 It is also thought to lessen tensions, worries, and can help quell confusion and bad dreams. White onyx balances the system by tying the root chakra to the crown chakra. So, while the root chakra will keep you grounded, the crown chakra ties you to the heavenly. This further enforces the concept of the continual life cycle, and how death is not a finality, but a phase. Think of it as a continual sense of renewal, a continual balancing of your energies. Like black onyx, red onyx is also tied to the root chakra, and is a grounding stone. 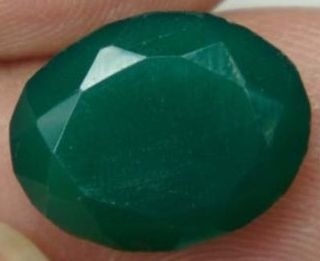 Green onyx is for the heart chakra, which is about connection, transformation, and powerful healing. It is the center of the conscious and spiritual. It helps bridge the three chakra above it with the three below it. Since onyx is not only a protection stone, but also a grounding stone, it is a great stone to combine with other stones, depending on what you want to achieve. That piece above is one of my personal talismans. For information on how to cleanse your stones, see this wonderful article published recently on Mind Body Spirit Odyssey.